; Sorry, your browser doesn't support HTML5 video. 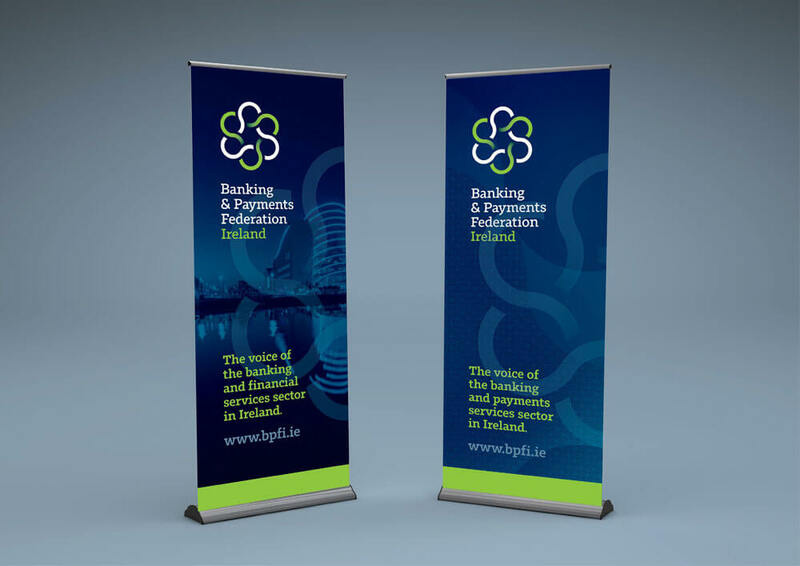 I worked with the Irish Banking Federation to overhaul their visual communications including brand identity, print and website. 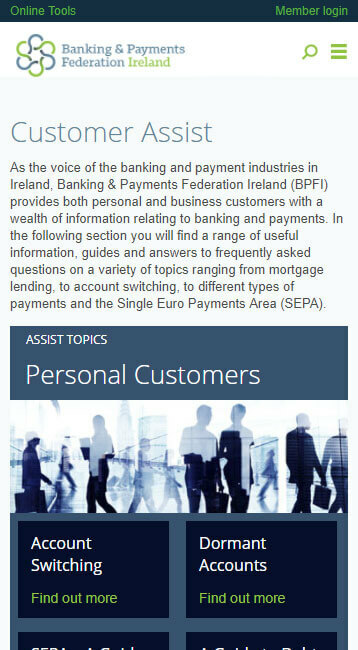 One of the first challenges we faced was devising a new name for the organisation that showed the importance of the payments division. 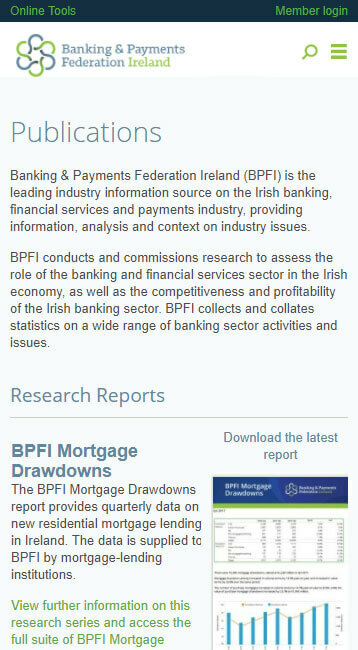 After exploring many options together we ultimately opted for a descriptive title that communicated the seriousness and dependability of the organisation and indeed reflected that need for stability in the banking sector at large. 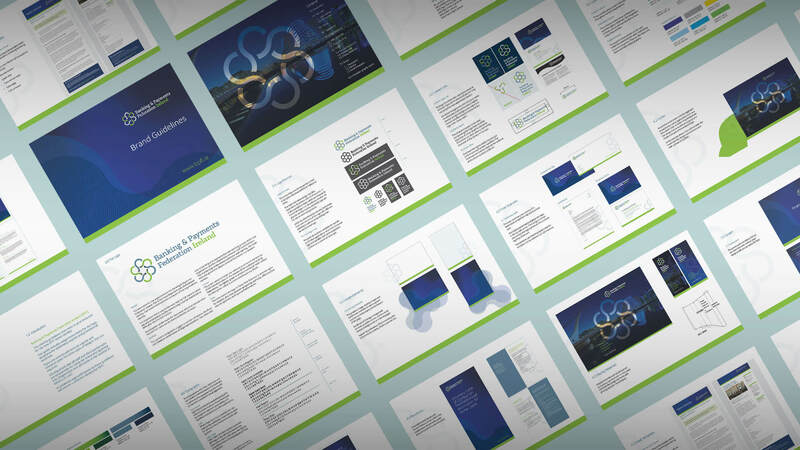 Working through a discovery process to determine core values, vision and strategies for the future, we continued to develop a new logo and visual assets that form the core of the brand identity. In tandem we evaluated the organisations online needs and priorities and developed a new site architecture and began working on the website design and development. 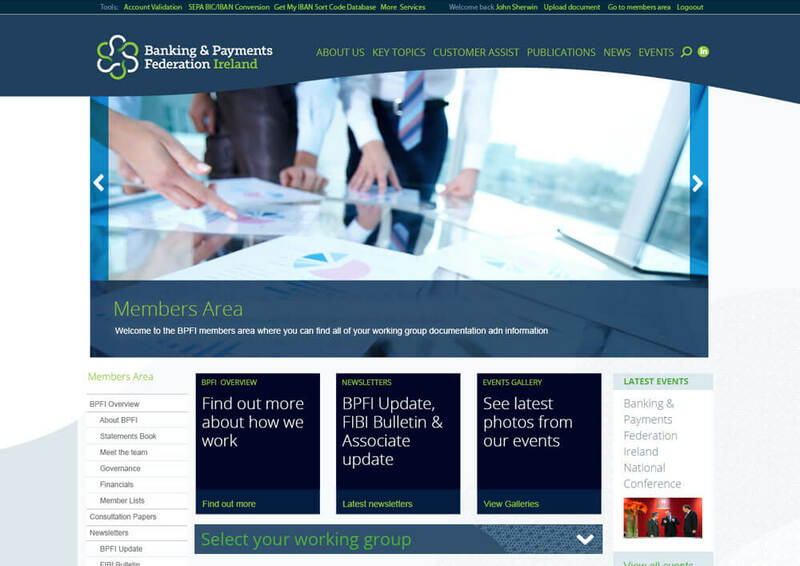 Using the new brand identity colours the website homepage was designed in a dark tone with bright accents from the logo green to draw attention to links and sections. 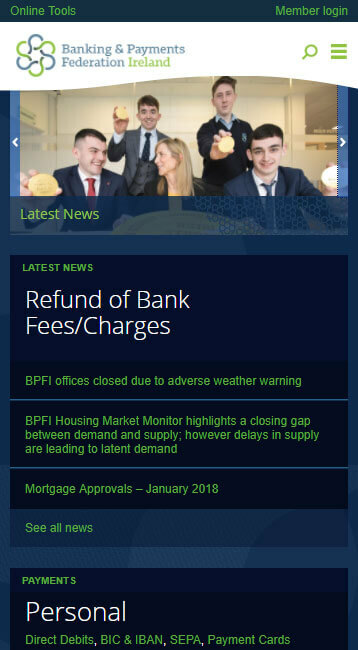 The homepage layout is modular allowing feature boxes to be swapped and changed as the organisations requirements change. Speaking events are one of the most important activities of the federation. The marketing and sign-up for events is managed through the website. 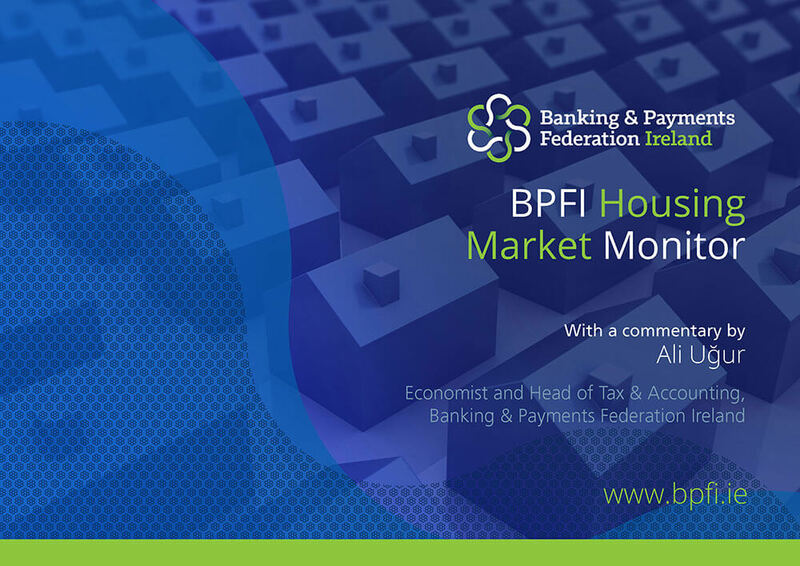 The federations direct customers are its members from the banking sector, however they also have a public audience and provide information to their members' customers and the general public. 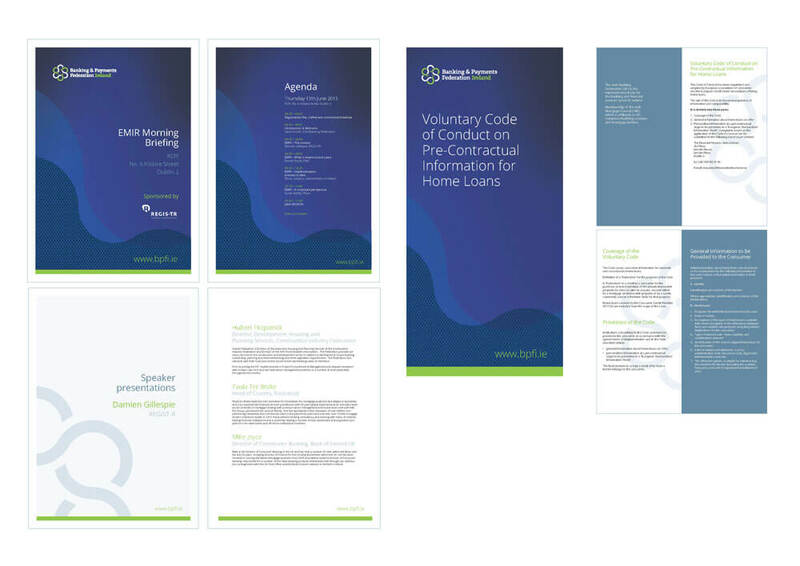 The brand identity project included the design of all print and display assets the organisation would need and a comprehensive set of guidelines. During the inital design process we developed additional graphic styles and patterns from the logo marque that could add depth and texture to all branded items. 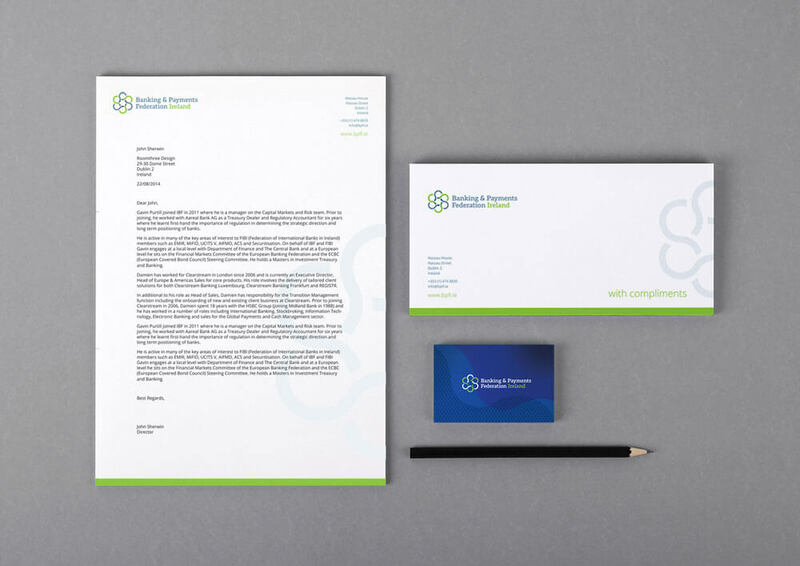 The production stage of the project was comprehensive applying the new design to all items from business cards and stationery to print collateral templates for brochures, folders and display stands. 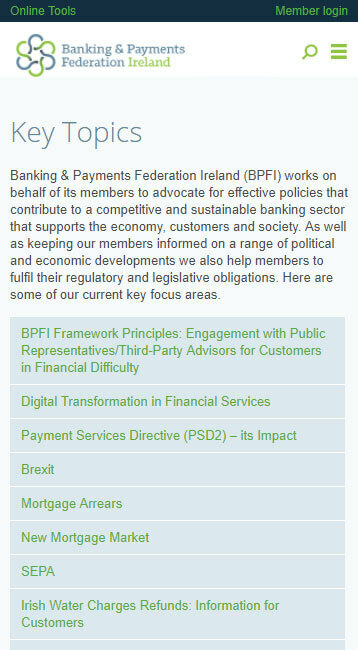 Following our work on the brand identity and website we were engaged by BPFI to work on a members system to support their activities with the various working groups convened by member representatives. 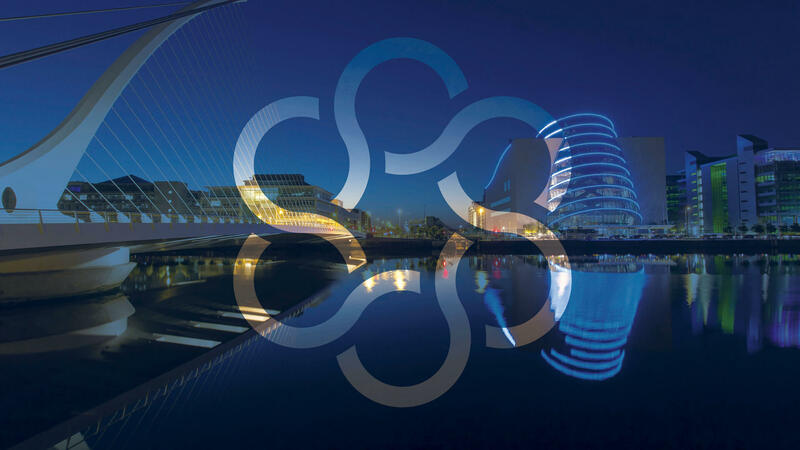 The member system is a repository or meeting agendas, minutes and notes, publications and drafts of working papers as the organisation is preparing them for publication. 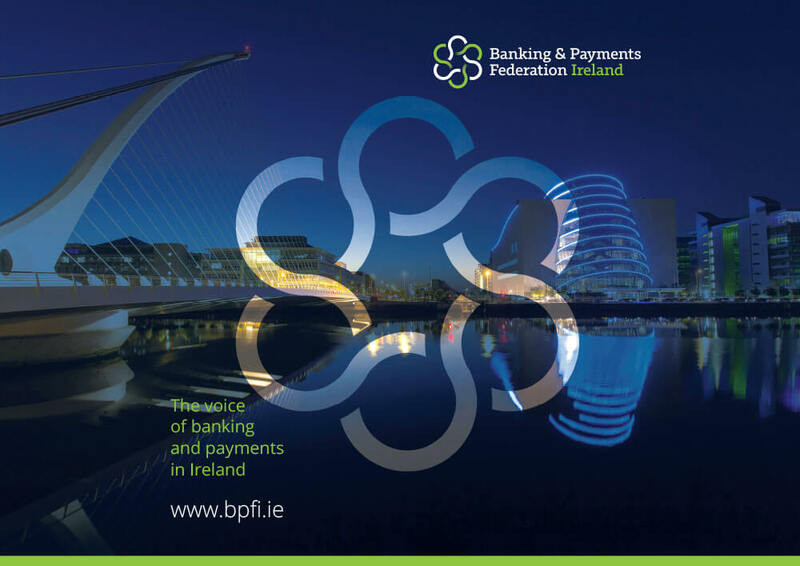 "My experience working John and the team at Roomthree Design helped transform the concept that was Banking & Payments Federation Ireland (BPFI) into a tangible brand and website. Over the past year I’ve been impressed by the guidance John has offered the organisation on countless topics. In terms of website design and development, brand management and facilitating our needs, John and the team at Roomthree are first rate. He guided us through the design process, educating us in the do's and don’ts of brand and web design and offering clear explanations on all manner of issues that we otherwise would have overlooked. I continue to enjoy a positive working relationship with John and find his style to be extremely accommodating, insightful and enjoyable."